I always thought walking boots were a bit pointless unless you were the sort of person that spent all weekend climbing massive hills with a flask of tea and a dog in tow. I was wrong. 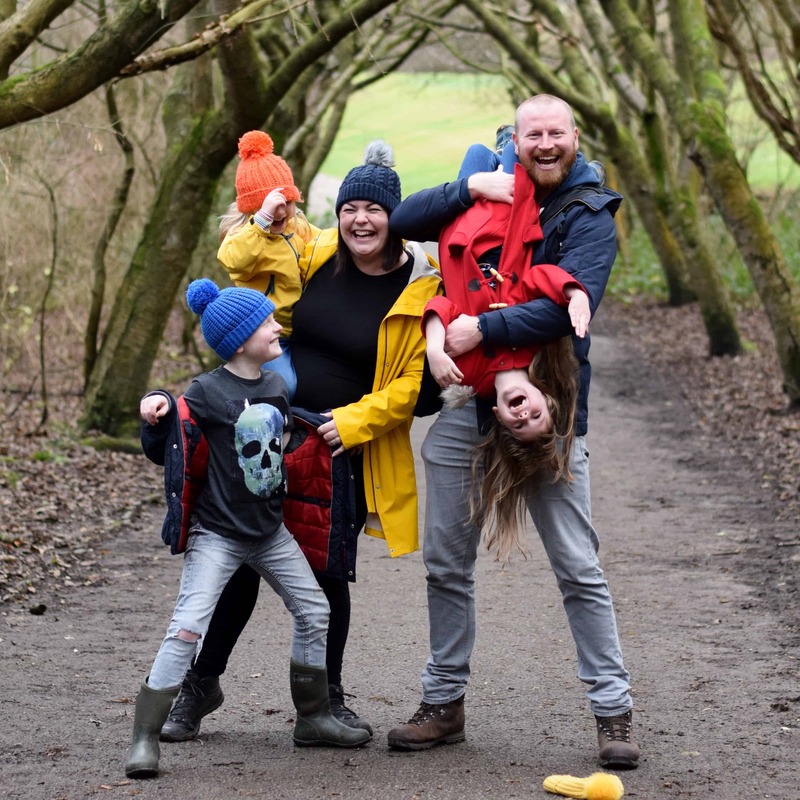 There’s nothing worse than having cold, wet feet when you’re out for a walk – be that a big old stomp up a hill, a meander down the coast or even just an afternoon in the park with the kids. 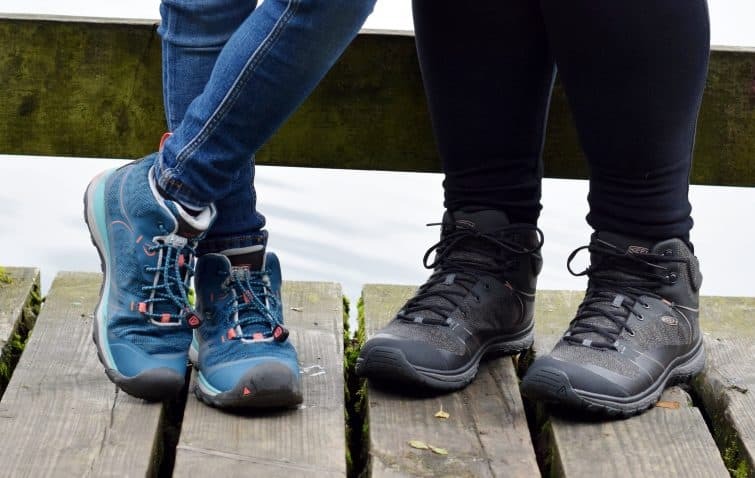 I’ve had a few pairs of walking boots in recent years and whilst I’ve totally been able to see the benefits of them in terms of providing my feet with support and protection, I’ve never loved them. My first pair were fairly traditional boots – big and clumpy. They rather reminded me of Dave’s safety boots at work. They did the trick but I never particularly enjoyed wearing them. Last year I swapped them for a pair of walking shoes which were more trainer-like in shape and style. They were much lighter and easier to wear but I still found them a bit cumbersome and not very attractive! I have a bit of a weak ankle which tends to swell randomly and doesn’t cope well with uneven ground – this meant that when I was wearing the walking shoes for festivals etc and spending the whole day treading uneven paths, I missed the ankle support a boot would give. 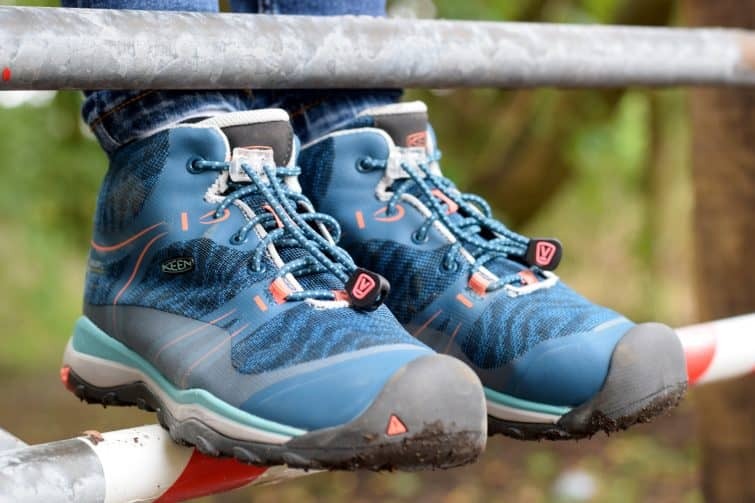 When I was offered the opportunity to try a pair of Keen walking shoes for Chloe and I, I was excited to see if I might finally find “the ones” . . . Keen, founded in America in 2003 with the creation of a toe-protecting sandal, are keen to push the boundaries of protective footwear which allow us to explore and really live in the world around us – whilst donating over $15 million to non-profit organisations and causes around the world. 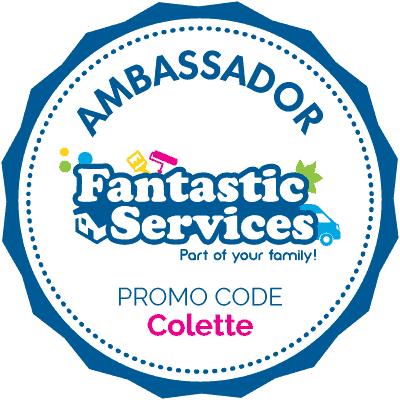 This is a brand with a clear purpose and integrity. 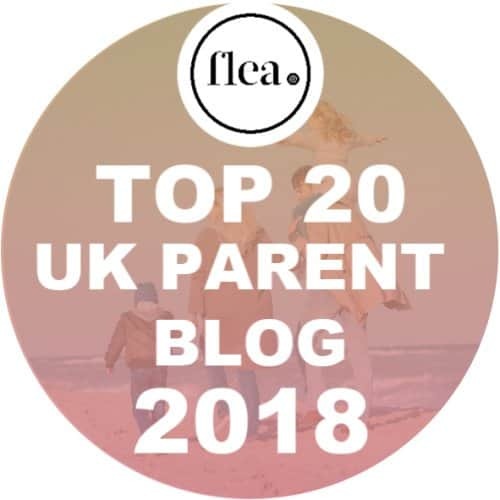 Keen offer a range of footwear from boots to sandals for the whole family as well as a smaller range of clothing and accessories. 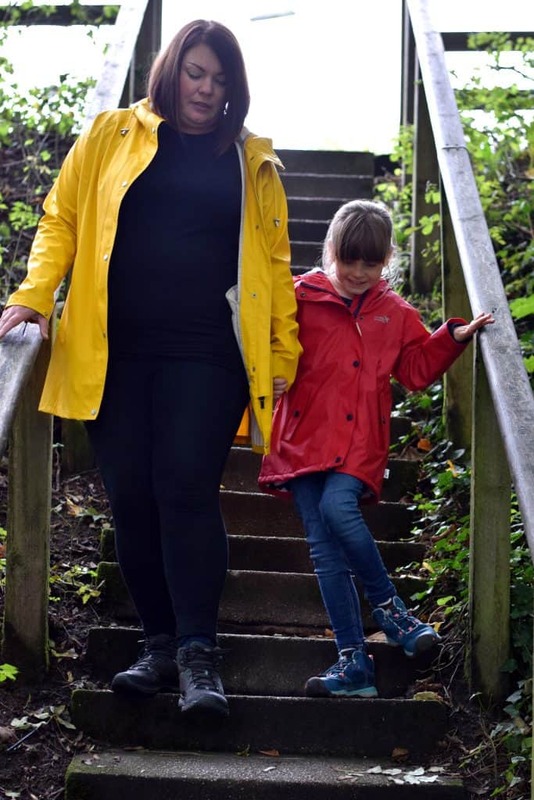 I have quite large, wide feet and often find buying shoes a bit of a pain so was apprehensive, particularly when the boots I picked out clearly stated that they were a narrower fit than their standard range. However, I was pleased to see the option on a 8.5 as often an 8 fits but can start to pinch my toes by the end of a long day. 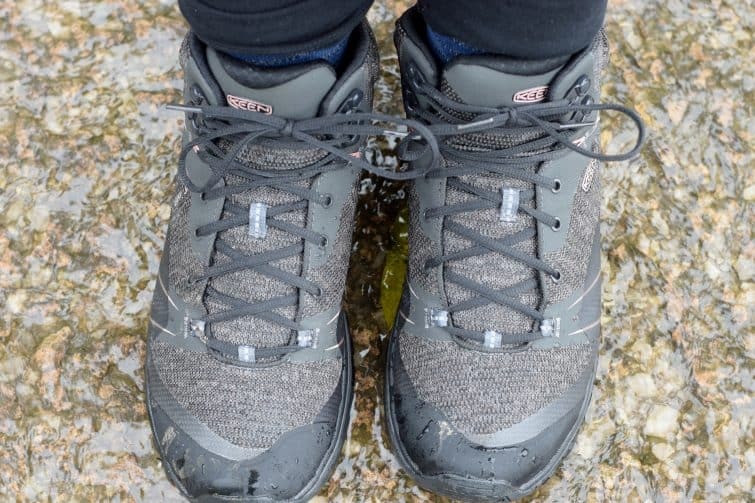 I chose the women’s Terradora waterproof mid hiking boots (£109.99) – I was particularly drawn to them because they just seemed so neat and tidy compared to some of the other bulkier styles. 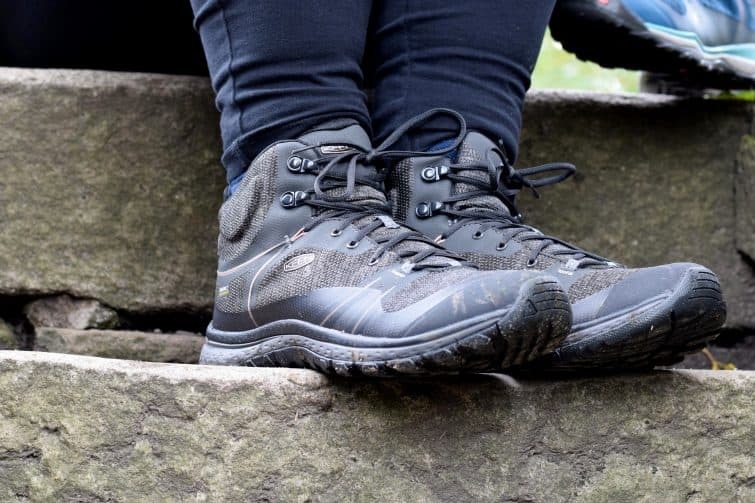 The Terradora waterproof mid hiking boot comes in a range of 8 colours from a bright and bold bluey purple shade to a more subtle shades of black or grey. I wanted something that would go with anything so almost chose the plainest dark grey pair but then something caught my eye in the Raven / Rose Dawn – and yes, I know, pink detailing!? But I just thought they looked really nice. I had hoped to be able to go full matchy matchy and pick out Chloe the same pair of shoes in her size but unfortunately the older kids’ Terradora waterproof mid hiking boots (£59.99) don’t come in the same colour ways as the women’s ones so we have the same pair of shoes but hers are a much brighter blue with coral detailing. 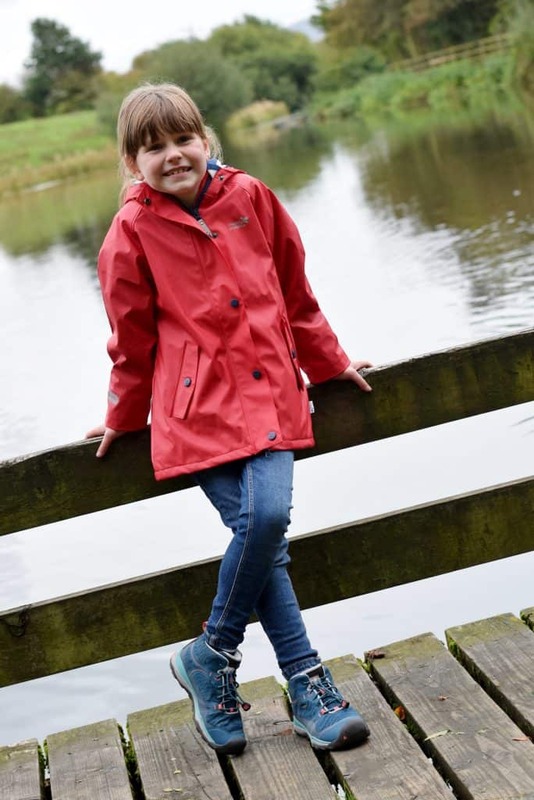 Chloe’s boots have all the same features as my own so I was confident that she’d be comfortable and supported wearing them for our outdoor adventures. We particularly liked that the laces don’t fasten in the traditional way but have a toggle which pulls them nice and tight. She had no complaints from the first time she wore her boots and I know she’s going to get plenty of wear out of them over the coming months before hopefully passing them down to her little sister! 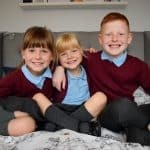 Previous Post Five Tips to get the kids to school on time! Honestly Jen they’re lovely. 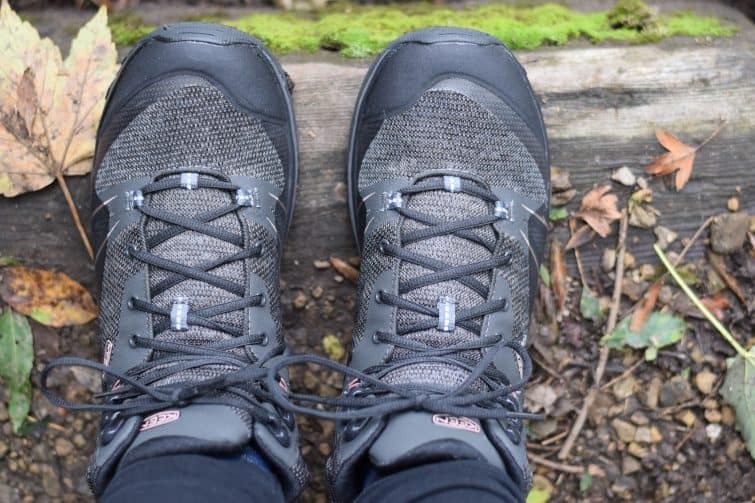 I always end up feeling like I’m clomping about everywhere in walking boots or catching my feet on each other if they’re bulky – these are like slippers! They look fab and pleased you found some that you’re genuinely going to keep wearing. I like the look of the rubberised styling so they keep the water out while looking soft like a trainer. I find conventional walking boots too stiff, these look ideal. Perfect to do half sizes too. It’s not a brand I’ve heard of before but it’s great to know making ethical choices as a manufacturer is important too. How fab to be able to work with Keen. 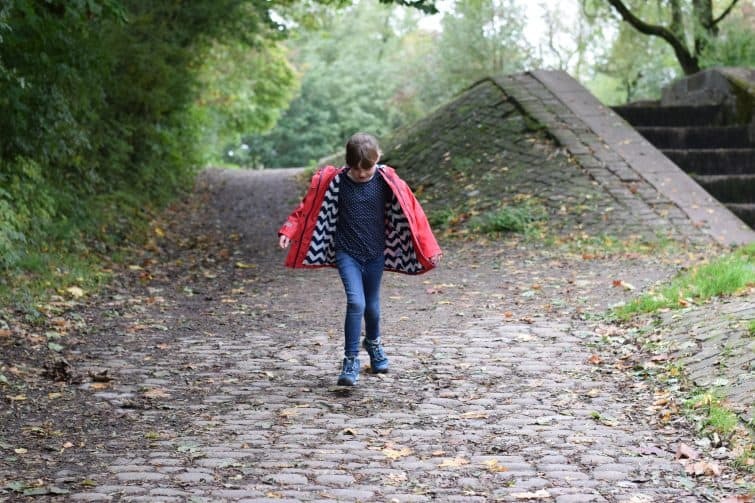 I’ve worn them pretty much every day over half term – I LOVE them. Chloe has worn them almost every day during the half term holiday. They’re really smart aren’t they!